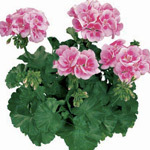 Bred for their superior performance the Elite Geraniums are the most compact on the market. 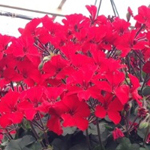 This means they are bushier and require less pruning than other varieties. They will flower all year, with the heaviest flushes in Spring and Autumn. 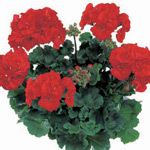 Regular dead heading will produce the most flowers, however Elite Eclipse will re flower consistently without doing this. 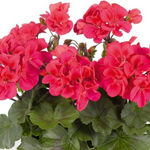 They have retained the hardiness of the traditional Geraniums so once established they will brighten you garden with minimal watering and care. Almost all year with main flushes in Spring and Autumn. USES: Ideal for garden borders instead of hedges. Use them wherever you want. Flower all year. 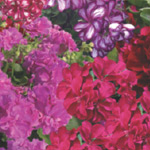 plant them under shrubs for ground cover, or mix them with other colours in the Elite range in your garden beds. DURABILITY: High. Adequate water until established, then is very tolerant of long dry periods. CARE: Very low maintenance, however if required trim to shape with hedge shears after flowering but not during the hot summer months. CARE: Very tolerant of neglect! 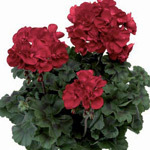 Although performance will be improved with normal garden watering, fertilizing with an organic fertilizer once a season. Prepare the soil before planting with a good quality compost or manure. PEST AND DISEASES: Be wary of caterpillars on the leaves and buds, a spray of Confidor will control this. Also during Winter, Botrytis fungus ca attack old leaves and flowers, so removal by pruning is advisable. Mancozeb fungicide is a safe and easy way to control this problem. 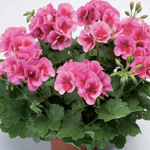 USES: Ideal for hanging baskets as their deep green foliage remains low and compact with the large flower heads standing up above and flowing over the edge. Also wonderful for pots, retaining walls and rockery gardens. DURABILITY: High. 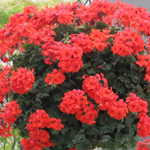 Adequate water until established, and then is able to withstand light watering if in the ground. Hanging baskets dry out easier so consistence watering is required. FLOWERING: Almost all year with main flushes in Spring and Autumn. 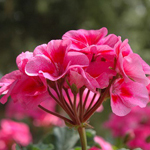 Regular dead heading will encourage new flushes of flowers. Flowers stand above the foliage on strong stems. 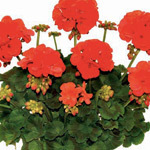 USES: Ideal for hanging baskets as their deep green foliage remains low and compact with the large flower heads standing up above and flowing over the edge. Also wonderful for pots, retaining walls and rockery gardens. 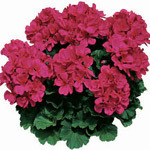 Extremely hardy plant to add long term colour to the garden. FLOWERING: Almost all year with main flushes in Spring and Autumn. 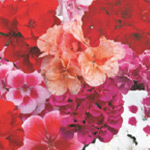 Regular dead heading will encourage new flushes of flowers. 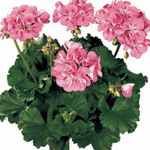 Flowers stand above the foliage on strong stems and will be covered in tight ball of flowers. FLOWERING: Almost all year with main flushes in Spring and Autumn. 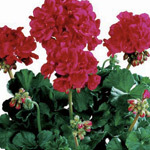 USES: Ideal for garden borders, great planted under shrubs for ground cover, in hanging baskets or even at the base of lattice. 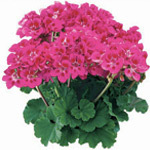 Will thrive in a hot spot in the garden or pots.